Cleaning remains an integral part of owning a home, but all too often, homeowners forget that their home exteriors may need cleaning as well. Like all areas of your home, your exterior siding gets dirty and beings to look dull without proper cleaning. 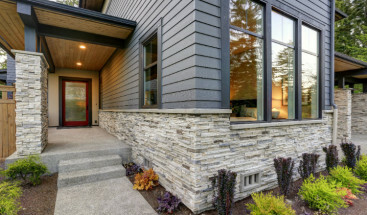 While certain forms of siding can be low maintenance, no form of siding remains clean on its own. 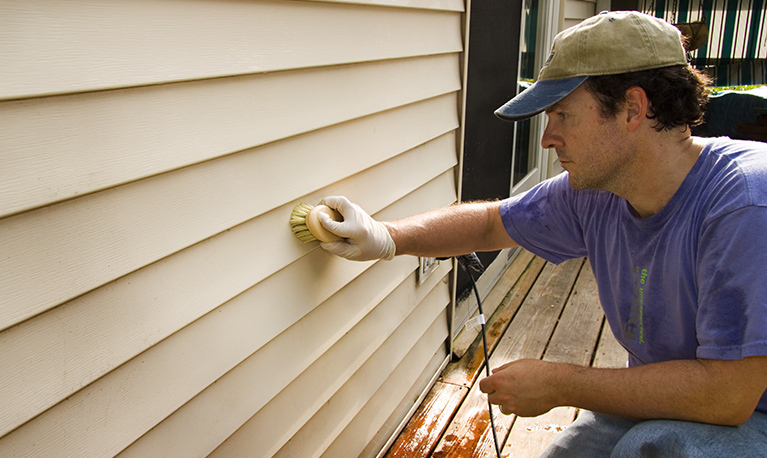 Cleaning your siding helps prevent scratching on its paint or sealant. It can also keep mold from getting into you home and rotting the framing, drywall or insulation. Remember that the better care you take of your home, the better care it will take of you. And your home’s exterior is no exception. So, what elements cause your siding to look filthy and how should you combat and prevent them? 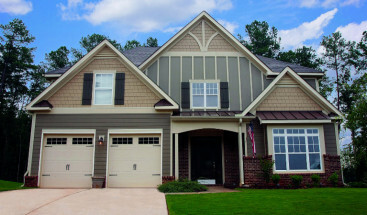 It is extremely common for siding to become covered in dirt, pollen or other exterior elements. Wind, storms, cars driving by your house or even mowing your lawn can cause particle to fly into the air and leave your siding a mess. No matter what form of siding you have, dirt will inevitably collect on its surface. Ridding your siding of dirt will brighten your exterior and remove particles that could otherwise scratch or damage its paint and surface, meaning cleaning your siding is an important exterior maintenance item. Simply brush down your siding with a non-abrasive material and hose the siding from top to bottom. If using a soft cloth, move with the direction of your siding’s planks. If your siding is brick, stucco or stone, move from side to side. Again, hose the siding from top to bottom to ensure dirt is not merely moved from one location of the siding to another. Avoid pressure washers. They can actually cause more harm than good. Water can be pushed into cracks or crevices or damage walls of your home. The pressure washer can even damage paint and sealing. Because the outside world is filled with dirt and grime, completely preventing dirt from collecting on your walls remains impossible. It is possible, however, to minimize dirt buildup. Routinely following the above measures will keep dirt from accumulating on your siding. Cleaning your siding after a storm or extremely windy day can also help reduce this. Whether or not your siding has been sealed or is resistant to water, moisture still remains a culprit for the exterior. As organic particles, such as dirt or sugars from trees and plants, collect on your siding, water causes mold and mildew to grow. Rain, humidity and other forms of moisture inevitably cause your exterior siding to come in contact with water. And where water is, mold is likely to form. A simple mixture of water and bleach should be sprayed or doused over the affected area. Bleach kills mold, making it easier to clear the surface. After the mold has been left for 10 or more minutes, use a non-abrasive brush or sponge to scrub the residue. Then simply hose down your siding, starting from the top and working toward the bottom. 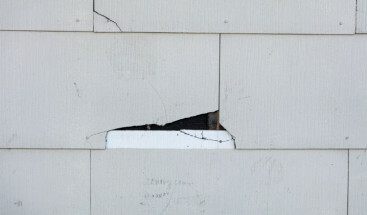 If your siding is wood, brick or stone, extra work is needed to ensure mold has not made its way into any crevices. Be a bit more meticulous when cleaning out these gaps. Preventing mold is far easier than dealing with mold growth. To help prevent mold on your siding, routinely hose down the siding to clear off all organic particles that promote mold growth. Trees and other plants that may touch the siding should be trimmed and pruned. The less plant sugar to come in contact with your siding the better. Visitors, family and even you can get oils from your skin onto siding, which can make it appear dirty. If you grill a good deal or use similar items, oils and grease can splatter onto your siding making it look neglected. To remove grease, create a mixture of warm water, vinegar and dish soap. With a non-abrasive sponge, scrub the area in circular motions until you see the grease disappearing. Then simply rinse the area of all cleaner. Although this will not prevent grease from getting onto your siding, take the necessary steps to remove grease and oil as soon as possible after noticing its presence. Doing so will help prevent it from staining your siding. And when cleaning your grill or other like items, move the items away from your siding so that any splatter does not end up on your walls. No matter what material makes up your exterior siding, dirt, mold and grease can collect on any surface. While there are many ways to combat these elements, a simple way to prevent the need for as many cleanings is a siding that is low maintenance and easy to care for. Wood planks, brick, stone and stucco, all require extra maintenance when it comes to care and cleaning. However, cleaning and maintaining vinyl and fiber cement takes far less effort. Both of these options simply need washing with water, a mild soap and a non-abrasive sponge or cloth. However, no siding can beat that of Jamies Hardie® Fiber Cement when it comes to easy maintenance. While vinyl can be cleaned easily, vinyl can still warp due to too much condensation. James Hardie® Fiber Cement is water and moisture resistant, meaning no worry for you as a homeowner when cleaning your siding. Simply wash away! Don’t forget to clean your exterior. Routine siding cleaning is an important part of exterior preventative maintenance. However, if you are ready to install the easiest and most maintenance free siding, we at Refined Exteriors are ready to help. Contact us to schedule a free James Hardie® siding consultation.